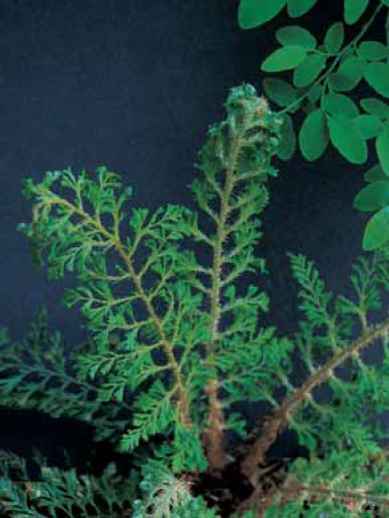 description: The rhizome is erect with fronds radiating in arching horizontal sprays from short stipes that are one-fifth of the total foliage. As the common name implies, these are massively and handsomely dressed in blackish-brown scales that extend well onto the rachis. The narrow oblanceolate blades are pinnate-pinnatifid and a warm kelly-green. 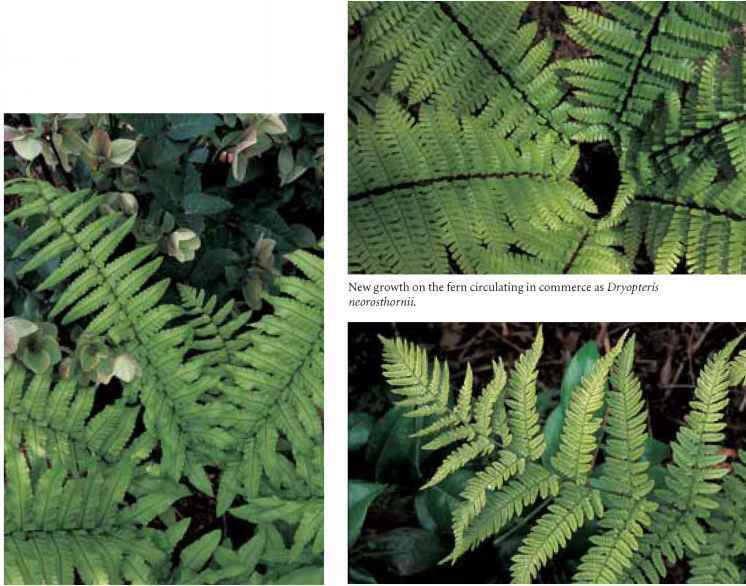 The 20 to 28 pairs of pinnae taper gradually toward the frond's base with the lower pair aiming slightly downward. The sori are submarginal on upper pinnules and covered with a kidney-shaped indusium. range and habitat: This is a woodland species from Japan, China, and Korea. Light foliage of Dryopteris pacifica in the Peters garden. 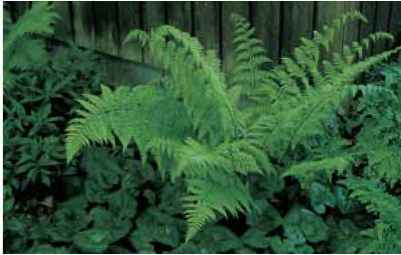 Dryopteris namegatae against a backdrop of Helleborus 'Ivory Prince'.